This moisturizer is all you need. It’s so fabulous we named it after our grandmother whose beautiful skin was a testament to this face balm. We rendered tallow from Angela’s East Texas family farm and combined it with lavender and beeswax from Aine’s Northern New Mexican garden and apiary. A small amount goes a long way and your skin can thank us later. And as always it’s small batch so get yours while it lasts. 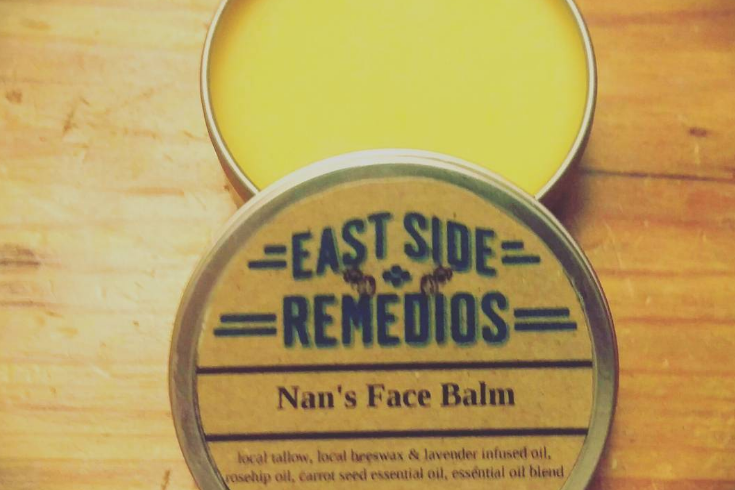 Nan’s Face Balm is the bomb!